We greet you from Northern Israel and thank you for your valuable support for Israel (Ruth 2:17) especially in these exciting - - - but difficult days ahead for Israel. It would be of little consequence if you didn’t believe that God has a future for Israel. If the hand of God removed itself forever from His people when the Jews rejected Christ as Messiah, then Israel would be just another nation among many, stuck in the eastern Mediterranean, surrounded and outnumbered by enemy states. But, if you are among the many (as we believe that you are) who believe that God’s promises to Israel were unconditional – and that He ultimately will redeem them to Himself and restore His glory among them; then Israel becomes a strategic player in the future history of the world. Certainly the Jewish people have had, and will continue to have --- a profound influence on the world because of God’s choice of Israel to His people. By examining this very controversial subject through the Word of God, it is possible to understand what is happening in the news today and what will take place in the future. First; we need to understand; what is the church, why is it significant in the 21st Century --- and what is its future? And, where does Israel fit in all of this? One of the great theological battlegrounds of Christianity throughout the centuries has been the nature and character of the Church, especially in relation to Israel. Yeshua (Jesus) announced to His disciples in Matthew 16: 18, that He was going to be building His church. The use of the future tense “will build” implies that the building of the church was something Yeshua would be initiating in the future. While God’s program for the church was clearly in His mind from all eternity, the church had a specific starting and ending point in history. One must understand the difference for God’s program for the church and His program for Israel to fully comprehend His plan for the future. God’s program for Israel began with His call of Abraham. When He first revealed Himself to Abraham, God promised that his descendants would become a great nation (Genesis 12:2). This was a significant promise because Abraham’s wife Sarah was past child-bearing age. Second, God promised that the descendants of Abraham would possess the land (Genesis 12:7; 13:14 -15; 15:18 – 19). Third, God stated that through Abraham all the peoples of the earth would be blessed (Genesis 12:3). These individual, national and universal promises were confirmed forever when God entered into a blood covenant with Abraham, promising to do all that He had revealed (Genesis 15:9 -21). It was no accident that when Yeshua came into the world, He came to the nation of Israel. As the promised Messiah, He came preaching that the Kingdom of God had come. If the nation would acknowledge Him as their Messiah King, God’s promised Kingdom would be established. Sadly, the Jewish people rejected their Messiah. Yeshua (Jesus) was betrayed and crucified. To understand God’s love, understand Israel. Conversely, to understand Israel, understand God’s love! With His death, resurrection and ascension back to heaven; Yeshua Messiah (Jesus Christ) was able to begin a new work among men, the building of His church. Yeshua also told His disciples that they were going to experience a brand new work of the Spirit. It is clear that the disciples did not understand what Yeshua was saying, for their very next question for Him was, “Lord, are you at this time going to restore the kingdom to Israel?” (Acts 1: 6) They were still thinking about God’s promises to the nation, Israel, and hoping that they would have the privilege of seeing the Messianic Kingdom established immediately on the earth. Yeshua’ answered to their question seems to remove any doubt about the future certainty of God’s promised kingdom for Israel. If they had been wrong about the establishment of that kingdom and about His future early reign, Yeshua certainly would have been obligated to correct their misconception. After all, is He not the Truth? And as the Truth, He cannot lie. If there was to be no future earthly reign of Yeshua (Jesus), He should have said something like “I’m sorry, friends, but you have it all wrong. You see, there really is no future for the nation of Israel. I really was only talking about the spiritual reign in men’s hearts.” But, Yeshua never said that! He simply said to His disciples that the question of the restoration of the kingdom was not there. He said, “It is not for you to know the times of dates the Father has set by His own authority.” (Acts 1:7) He had a new plan, and they were the ones who were going to carry it out. Yeshua’ commandment to His disciples was, “but you will receive power when the Holy Spirit comes on you; and you will be my witnesses in Jerusalem, and in all Judea and Samaria, and to the ends of the earth” Acts 1:8. The disciples were to begin where they were and, in ever widening circles, take the message about Yeshua to the entire world. Ten days after Yeshua spoke these words, Israel celebrated the day of Pentecost. The word Shavuot means “weeks” and it is the time of 7 weeks plus 1 day between Passover. Today in Jewish tradition, the holiday of Shavuot is likened to a wedding, a marriage between God and the people of Israel. This is the day when He gave the Jewish people the Torah (The Word of God) and that is His wedding contract with us. In some synagogues a special wedding contract (Ketubah) is read on this holiday of Shavuot. Israel is likened to a WIFE of Jehovah, often as an unfaithful wife (Book of Hosea). Shavuot ~ Pentecost celebrated May / early June is revered as a very holy and unique day in history, when Moses received the Ten Commandments on Mt. Sinai, in reverence to God giving the gift of His Word. Shavuot is known to Christians as “Pentecost” which means --- “50 days” from “First Fruits” and “Passover” (Easter). For Christians, Pentecost marks the “First Fruits” of the New Testament Covenant and also celebrates the coming of the Holy Spirit. “Suddenly a sound like the blowing of a violent wind came from heaven and filled the whole house.” All of them were filled with the Holy Spirit and began to speak in other tongues (Acts 2: 1). This event was prophesied in Joel 2:28 and 3,000 Jewish souls were saved in one day, birthing the first church and the Body of Messiah! These are no mere coincidences! First, the Torah (The Word of God) was given to Moses at Mt. Sinai on Shavuot, and then, on the exact same day (Shavuot) about 1,300 years later the Law (Torah) was written on the people’s hearts as the Holy Spirit filled all those who believed in the Lord, as written in Jeremiah 31:31-33. The Church is the beloved BRIDE of Messiah; (2 Corinthians 11: 2; Revelations 19: 7 – 8) to be one day presented blameless and spotless (Ephesians 5:27). (1) Peter referred to the arrival of the Holy Spirit as the “the beginning” (Acts 11: 15). (2) James referred to the giving of the Holy Spirit to the Gentiles (Acts 10:45) as “at the first” (Acts 15:14). (3) The joining of Gentiles and Jews into the same body is described as a “mystery” which was not made known previously to the sons of men (Ephesians 3: 4 – 7; Colossians 1:26 -27). We come now to something that is crucial and needs to be defined to understand ‘The New Covenant.’ Is the Church Israel? For if it is, we are obligated to keep Sabbath day, at least in a general sense. If the Church is not Israel, then what sense would there be to keep the Sabbath? Scripturally, we find the Church is not Israel the nation, but a separate entity under an entirely new covenant. Israel is called the WIFE of Jehovah, while the Church is called the BRIDE of Christ, showing distinctions in how God relates to each. The word Israel is always descriptive of the physical descendants of Abraham, Isaac and Jacob. It was Jacob whose name was changed to Israel and had 12 sons that became that nation. If viewed that the Church is the “new” Israel and is the continuation of where Israel had began in the Old Testament then all of the promises made to Israel in the Scriptures find their fulfilment in the Church. Thus, the prophecies relating to the blessing and restoration of Israel to the Promised Land are “spiritualized” into promises of blessing to the Church. However, the prophecies of condemnation and judgment, though, are retained literally by the Jewish nation of Israel. This view is called Replacement Theology, because the Church is seen to replace Israel in God’s economy. One of the problems with this view, among others, is the continuing existence of the Jewish people, especially with regard to the revival of the new modern state of Israel. If Israel has been condemned to extinction, and there is no divinely ordained future for the Jewish nation, how does one account for the supernatural survival of the Jewish people since the establishment of the Church, for almost 2,000 years against all odds? Furthermore, how does one account for Israel’s resurgence among the family of nations as an independent nation, victorious in several wars and flourishing economically? Many transfer the promises and the Covenants of Israel to the Church, but there is absolutely no reason to do this. We read in Galatians 3:29 that those who belong to Christ are Abraham’s seed. The seed of Abraham does not mean one is Israel. It means; those who are justified by faith are spiritual descendants of Abraham, but this does not make them descendants of Jacob who is Israel. They partake in the spiritual blessings that come through Israel. The Church is never called “spiritual Israel” nor is a “new Israel” replacing the old. Neither does it say that believers become Jews. Both Gentiles and Jews participate together in the New Covenant (Ephesians 2) – The One New Man. None of the curses or blessings pronounced upon Israel refers directly to the Church. Israel and the Church are completely different and the two should not be confused. This leaves all the covenants, promises, and warnings to Israel intact. Israel, the natural Jewish nation, is still Israel. To be sure, Israel has been side-lined during these past 1,900 years. The Church has taken centre stage in the Lord’s affairs as the Gospel has spread throughout the world. Nevertheless, God has carefully preserved the Jewish people, even in unbelief, through every kind of distress and persecution. Sometimes, the professing Church itself (speaking to our shame) has been a cause of these persecutions to the Jews. Not only has God preserved the Jewish nation, but He has also kept His promise to save a remnant of Israel in every generation. The remnant of Israel in this age, are the Jewish believers in Christ, who have joined the Gentile believers, and form the Church, the Body of Christ (Romans 11:5). In this respect, then, a part of Israel (the believing remnant) intersects with the Church during the Church Age. But this does not make Israel the Church, or vice versa. In the future, both God’s warnings and promises to Israel will come to pass. After the Lord is finished with the Church Age, and has taken the Church to Heaven in the Rapture (1 Thessalonians 4: 16 – 18), God will restore Israel to centre stage on the world’s divine theatre. First comes the devastating “Time of Jacob’s Trouble” (Jeremiah 30:7) also known as the Great Tribulation. This is a dreadful period of seven years, which begins relatively lightly during the first half, but intensifies into full focus during the latter half. The good news is that, when Christ does return to the earth at the end of the Tribulation, Israel will be ready, willing, and eager to receive Him, and proclaim, “Blessed is He who comes in the name of the Lord” (Matthew 23:39). As the stumbling of Israel brought blessing to the world at Christ’s First Coming, the reception of Israel to Christ at His Second Advent will be like “life from the dead” (Romans. 11:15). The Church will return with Christ, and will rule with Him for a thousand years (Revelations 20: 1 – 5). He Himself told His disciples that they would rule over the 12 tribes of Israel in the restoration (Matthew 19:28). Thus, Israel has not been forgotten in God’s plan. While the Jewish nation still has a dark period facing it, there is a glorious finale to Israel’s long history. God has a distinct history or program for Israel as well as a distinct history or program for His Church. The two programs harmonize perfectly but do not interfere one with the other, nor do they overlap in time. 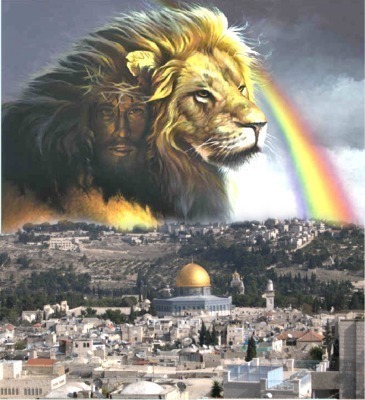 God’s program for Israel centred in Jerusalem (Matthew 23:37) and will again centre in Jerusalem during the Tribulation (Matthew 24:15-20) and during the Millennium (Isaiah 2:1-5). God’s program for His Church began in Jerusalem and extended to the uttermost parts of the earth (Luke 24:47; Acts 1:8). The Church is identified with the risen Christ, not with any earthly city. The hope and expectancy of Israel was earthly centering in the establishment of the Kingdom of the Messiah foretold by the prophets (Jeremiah 23:5-8; Isaiah 2:1-5; 11:1-16). The hope and expectancy of the Church is heavenly, centering in the glorious appearing of Christ to take His people to heaven (John 14:1-3; Philippians 3:20-21; Col. 3:1-4; 1 Thessalonians 4:13-18). Israel’s history which is in view in Daniel 9:24 (the 490 years including also the Tribulation) involve a temple in Jerusalem. The same will be true in the Millennium (Ezekiel Chapters 40 - 48). 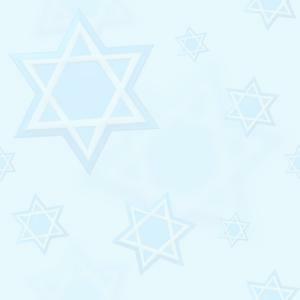 Membership into the Jewish nation was by birth or by convert to Judaism. Membership into the Church is by the new birth accomplished by the baptizing ministry of God (1 Corinthians 12:13). And, the distinction between Israel and the Church is the “MYSTERY” which is characteristic of the Church. A mystery is something not yet revealed. That is, a New Testament truth which was not revealed in the Old Testament. Why, then, should we be disturbed over what God has promised the Jewish people? Why be jealous over the future destiny of Israel? How short sighted of us! Indeed, the Church’s finest and most distinctive hour will be when Israel is restored nationally and spiritually to the Lord at the Second Coming of Christ. We will return from Heaven with Him as His glorious Bride to rule Israel and the world (Matthew 19:28). What more could we ask? Most Christians are familiar with the comforting conclusion of Romans 8: 38 - 39 (Nothing) “…will be able to separate us from the love of God that is in Christ Jesus our Lord.” This power packed verse has strengthened the church for 2,000 years. Despite life’s difficulties, we can cling to the truth of His unwavering love. Nothing, but nothing, can separate us from it. How many of us, however, has made a connection between Romans 8: 38 and Paul’s inspired words about Israel in the very next sentence of Romans 9:1? The flow of Scripture is strategic by the Spirit. Right after we are assured of God’s unconditional love, we are reminded of the unquenchable flame in his heart for the Jews. There is a reason that the New Covenant’s key note message on Israel – that is Romans 9 through 11 comes in the context of God’s love in Romans 8. Bear in mind that the original letter to the Roman church had no chapter break: they were added later for our convenience. The Biblical context for a Christian understanding of Israel therefore is - - LOVE. As Paul trumpets the triumph of God’s love, the Spirit turns his thoughts naturally to Israel. Not only is this the divine design, it is logical. Birthed from God’s love to humanity, Israel was created as an object of His affection – to love Him back and mediate His love to others. Yet for the most part, she does not. Like other nations, she is lost in her sin. So the anointed Apostle spills before us his secret and unshakable grief: Israel’s lost-ness. The same Paul who exhorts us to rejoice always (Philippians 4:4) confides in us that he carries unceasing anguish over Israel. Paul’s lament echoes that of Moses, who centuries earlier cried out to God on Israel’s behalf: “Please forgive their sin – but if not then blot me out of the book that You have written” (Exodus 32:32). Paul, like Moses carries the unchanging heart cry of God. Do we the Church want to know the “burden” of the Lord, today? IT IS ISRAEL!